Following the success of last weekend’s Creamfields, which apparently saw 70,000 people flock to Daresbury in Cheshire, clubbers attending witnessed the birth of the ‘Steel Yard’ - and now it returns for a 10,000 capacity show at Central Docks, Liverpool Waters on the city’s waterfront on Saturday 26 November to be headlined by Axwell & Ingrosso. Designed exclusively for Creamfields, and the largest of its kind in Europe, the 20m high structure features newly developed automated technology which brings it to life. 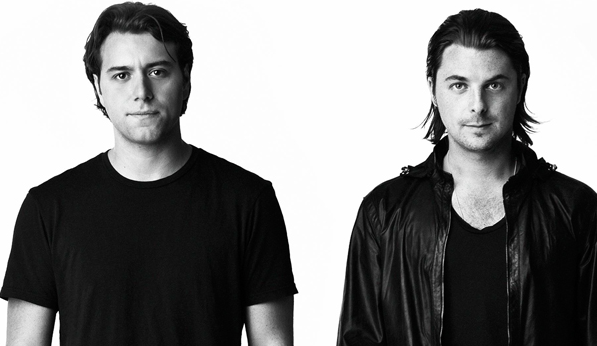 ‘The Steel Yard presents Axwell & Ingrosso’ is the first of a series of special events planned ahead of the festival’s 20th Anniversary celebrations in 2017 and sees the return of the Creamfields brand to its spiritual home for the first time in over a decade.